Ningbo Jiyi Pressure Cooker Co., Ltd.
Q:1.What's the MOQ of your products9 A: The MOQ is 1*20PG per month,but we will try our best support to start a order. For example mix several models in one container,we can discuss if there is a actual order. Q:2.What is your payment term9 A:Normally we accept T/T or L/C or trade assurance,if you have other suggest way for payment,please inform and we can discuss. Q2. Do you provide OEM service9 A2 :Yes,we provide OEM service Q3. I'd like to MIX several models in one container. Q4. Can you provide SAMPLE for us9 A4 : We can provide sample for cost free,but the freight cost will be beared by customers. Q5. How long can you offer a sample for my inspection9 A5 : Sample can be prepared about ten days . is a professional manufacturer and exporter of electric appliances with BSCI report. Can you make it9 A: We provide OEM service which including logo printing, gift box design and carton design . Q: How about the DELIVERY time9 A: 35 days after receipt of the deposit and confirmation of the artworks. Zhucheng Guiguan Machinery Co., Ltd.
was established in 1997. 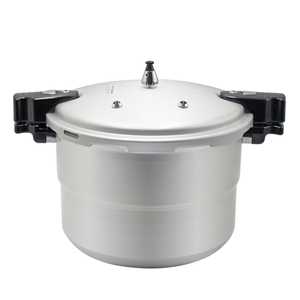 We are a professional manufacturer of stainless steel pressure cooker with our own design and development team. We have most advanced 1600 ton electric screw press and 1000Z ton friction screw press machines. We had been certified as ISO9001:2008 and ISO14000 enterprise Choose maturity is a vision. 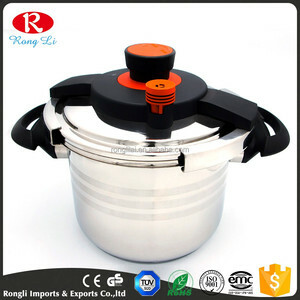 Yongkang Bangerda Industry & Trading Co., Ltd.
Jiangmen Yierle Kitchenware Co., Ltd.
Aluminum Commercial Pressure cooker Features: * T op quality Aluminum alloy A3003 body and lid * Mirro polishing/Soft anodized surface, bright and elegant. * Capacity range: 13L~18L for you to choose * The silicon sealing ring, without poison or odor, sealing well. * Preserves food up to 70% faster than ordinary cooking methods * Flavor is enhanced and valuable vitamins and minerals are retained. 1.2 meter power cord with plug Electric pressure cookers aren't the scary pressure cookers everyone used. Make better tasting meals in a fraction of the time in an easy-to-use electric pressure cooker. Our company devotes to the research and manufacture of electromagnetic heating equipment. 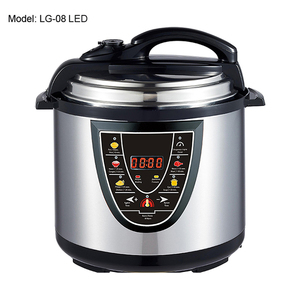 Alibaba.com offers 2,270 commercial pressure cooker products. About 29% of these are pressure cookers, 19% are electric pressure cookers, and 16% are other food processing machinery. A wide variety of commercial pressure cooker options are available to you, such as ce / eu, ciq, and ce. You can also choose from eco-friendly, stocked. As well as from aluminum alloy, stainless steel, and aluminum. And whether commercial pressure cooker is free samples, or paid samples. 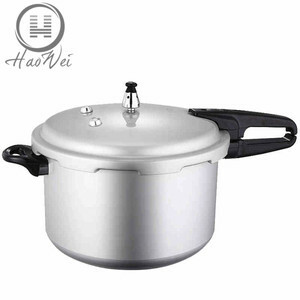 There are 2,272 commercial pressure cooker suppliers, mainly located in Asia. The top supplying countries are China (Mainland), India, and Hong Kong, which supply 96%, 2%, and 1% of commercial pressure cooker respectively. Commercial pressure cooker products are most popular in North America, Domestic Market, and South America. You can ensure product safety by selecting from certified suppliers, including 783 with ISO9001, 344 with Other, and 191 with ISO14001 certification.